We're learning new details about the two men killed in a helicopter crash in Medford, New Jersey. NBC10's Drew Smith reports. 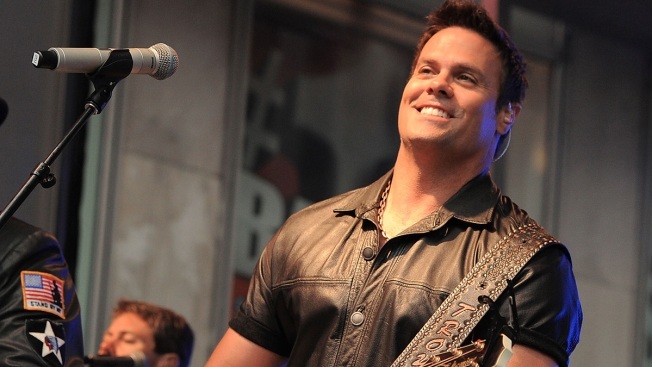 The pilot of the helicopter that crashed near a South Jersey airport and killed two people, including country music star Troy Gentry last week, reported a serious engine problem minutes after taking off, according to the preliminary report by the National Transportation Safety Board. The pilot, James Evan Robinson, was in communication with two flight instructors on the ground that he "was unable to control engine rpm with throttle inputs," the report said. The trouble began several minutes after the flight began Friday afternoon at Flying W Airport in Burlington County. The trip was described as an "orientation/pleasure flight" for Gentry, who was scheduled to perform a concert later that night at the airport as part of his award-winning country music duo Montgomery Gentry. After reporting the engine issues, Robinson discussed options for an emergency landing, the report said. He chose a "power-off, autorotational descent," which the report said he had performed numerous times. Robinson initiated the autorotation at 950 feet. During the descent, the helicopter's "rotor rpm decayed to the point where the instructor could see the individual rotor blades." Robinson died upon impact. Gentry was still alive when rescue workers cut him from the wreckage, but he died a short time later at Virtua Hospital Marlton. His death was confirmed in a tweet from the band at 3:58 p.m. Twisted metal and the rotor of the chopper could be seen strewn throughout the grass in Medford. It is unclear who was piloting the helicopter at the time of the crash. Witnesses said it crashed to the ground while traveling about 75 miles per hour. Gentry performed with Eddie Montgomery. Both are Kentucky natives. Gentry hailed from Lexington. He last lived in Franklin, Tennessee.